Weld Engineering: A food Career Choice? Weld Engineering is a complex engineering discipline involving various aspects such as Designing Inspection, lasers, robots etc. entirely different from the process of Welding. As a Weld Engineer, the job responsibilities include innovating welding techniques, procedures and welding equipment application in order to solve problems related to material by gathering specifications and characteristics of the metal and its alloys. 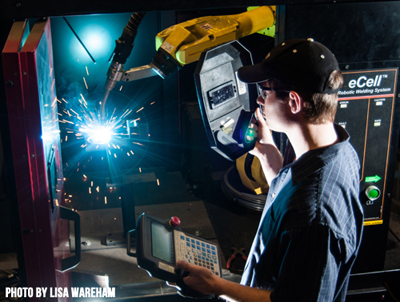 To do the same, it may include research and development to either improve the existing or develop equipment’s or techniques related to welding. Discovering new welding phenomena’s by modifying the welding patterns by correlating the hypothesis. Job responsibilities also include preparing technical reports of the RnD in order to prevent further investigations and establishing welding procedures in order to provide them with step to step guide to production and welding personals about the processing of the materials, any prerequisites like preheating for complex metals or alloys, post and pre – welding requirements, welding of critical joints and fabrication that needs to be done. Performing regular inspections to ensure quality and worker compliance with the defined welding procedures and techniques. Or may need to perform an experiment in order to test the new equipment’s, techniques or procedures. Some Universities term Weld engineering as Material Joining Engineering. So might be wondering how weld engineering is different from a certified welder. There a fine line or distinction between the two, a certified welder is a trained and tested in performing only some specific types of weld for some specific type of material with some specific welding procedure or technique. In other words, a certified welder is trained on specific work routines thus, their scope is limited and their focus is mainly on the welds with zero knowledge about the science about the material, procedures or techniques or the design of the welding system and equipment’s. Training is available in high school technical education courses and in postsecondary institutions. Courses in blueprint reading, shop mathematics, mechanical drawing, physics, chemistry, and metallurgy are helpful. Whereas as a weld engineer extensive training in all the areas like material science, chemistry and in all the welding and thermal processes and material joining along with the hands-on experience in the workshop. Thus, as a weld engineer you have to have all the information including all the technicalities and science about the procedure and welding techniques. Moreover, while working with the other engineers spending hours under the hood destructing welds in order to perfect the skill of welding, inspection, fabrication. Knowledge acquired as a weld engineer can easily get the certified welder tag that to with flying colors. Since, Weld engineering is not a high profile course like others hence the numbers of applications is limited only around 100 people apply for the course. With limited number of students colleges offering the program are also limited. Below is a list of some accredited universities that offers this program under the degree of Bachelor’s in Science Welding. Throughout the course, you get an understanding about the materials their properties and characteristics along with the advanced welding techniques and how to operate welding equipment. The course also covers aspects of chemistry, trigonometry, calculus, physics, welding processes and project management. In order to get detailed knowledge about the subjects you can go for the master’s degree, some job profiles require you to possess Master’s degree. Though Non-ABET programs have solid ground but they lack depth in various areas such as metallurgy, physics etc. Each college has its own pros and cons, but it is you have to decide which program you need to choose considering factors like cost, connectivity etc. Choosing a welding specialization along with electives related to their primary focus area. Opting for Internship which provides you learning experience along with that you can explore your welding interest. Critical thinking and reading comprehension. Active Listener, Writing and complex problem-solving techniques. Decision Making and strong hold over mathematics and physics. Must be able to work as a team in order to improve performance effectively. Use of Workshop Types of Equipment such as calorimeter, separators. Working and operating knowledge of Welding Equipments. 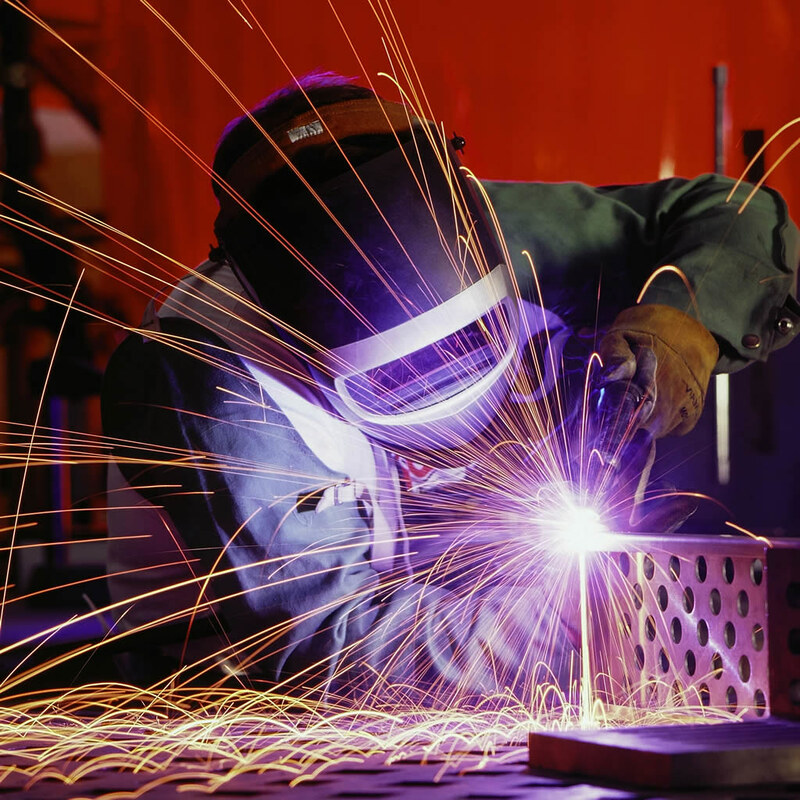 Knowledge about the materials and precautions need to be kept while welding. Because understanding the welding process and inspecting welds is important for both welders and welding machine operators, companies hiring machine operators prefer workers with a background in welding. Why you opted for Weld Engineer as a career. Degree and College from which the Course has been pursued. Materials, technology and piece of equipment used during the Welding. Where you had done the training and thickness, materials you have worked upon. Training performances, and how comfortable are you with the structuring and executing world class welding both automated and manual. What role you have performed during the internships. Though questions may vary from company to company. But these questions are general and great questions. Companies interviewing for these positions look for candidates with expertise in manufacturing of complex weld assemblies.